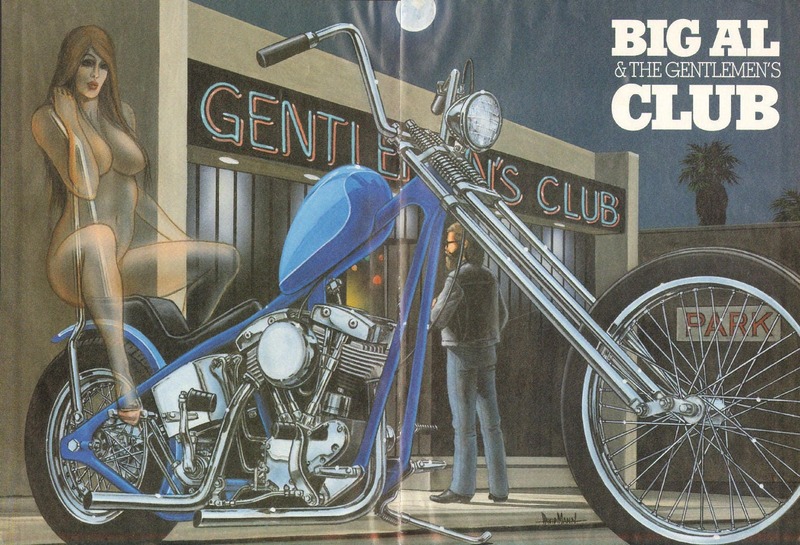 ''Big Al & The Gentlemen's Club"
David Mann biker art centerfold poster removed from a vintage Easyriders motorcycle magazine, matted as shown, ready to insert into a 16" x 20" frame. Great vintage motorcycle artwork print to decorate your office, garage, basement, rec room, man cave & more! Makes a great gift! Size including mat: 16" x 20"
Image area: approx. 10" x 15"